On August 30, 2011 a small work group was convened to discuss strategies to integrate nutrient and water management for the agricultural, water supply, wastewater disposal, and environmental sectors. The goal of the group is to explore the beneficial recycling of water and nutrients and the policy requirements necessary to enhance the efficient use of these resources in Delaware. 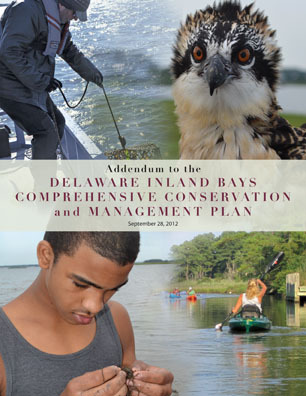 The group is coordinated by CIB STAC Chair Dr. Bill Ullman of the University of Delaware College of Earth, Ocean, and the Environment and is supported in part by Delaware Seagrant and the Center for the Inland Bays. 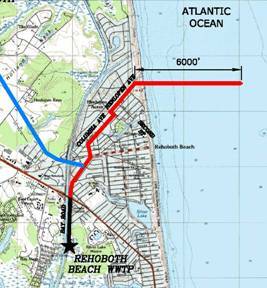 The City of Rehoboth Beach has proposed to remove its discharge from the Bay by constructing an ocean outfall. The following is a timeline of the process that led to and followed the proposal, accompanied by facts about the proposal. The Center for the Inland Bays requested an independent assessment of the DO calculation in the current TMDL model (GEMSS model) for the Inland Bays. This report focuses on DO, but improvements in the understanding of nutrient loading and biogeochemical cycling will also be necessary to improve model formulations. This report by Robin Tyler of DNREC documents the distribution and abundance of macroalgae species in Rehoboth and Indian River Bay in 2009. 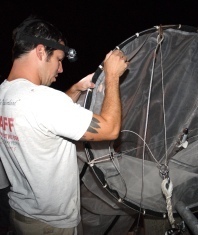 Findings include that relative to 1999 the species assemblage changed and overall macroalgal abundance decreased. This UD report documents the levels of arsenic in soils of forests, agricultural, lands and industrial sites in Delaware and the potential for leaching of arsenic to groundwater. Best management practices for arsenic are discussed as is arsenic speciation. (93 pages, 1 MB size). 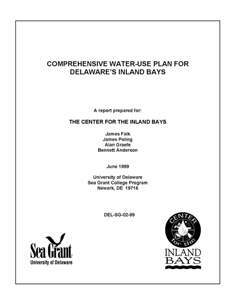 These Standard Operating Procedures produced by Bill Ullman and Joe Scudlark of the University of Delaware and Jenn Volk of DNREC do just what they say. Methods are given for calculating loads from wet, dry, and gaseous deposition to the open waters and marshes of the Inland Bays. 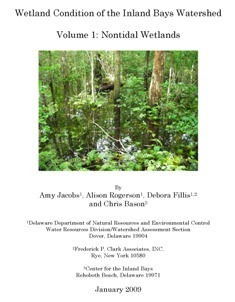 A two-volume research report released in 2009 by DNREC and the CIB that assessed the condition of freshwater nontidal wetlands in the Inland Bays watershed. The goal of this project was to report on the condition of these wetlands across the watershed and identify the stressors that are impacting wetland condition in order to guide wetland protection and restoration activities. Volume 1 documents freshwater wetland condition and Volume 2 documents tidal wetland condition. The Center for the Inland Bays has released its recommendations for a watershed level water quality buffer system. The science based recommendations were developed in coordination with the Scientific and Technical Advisory Committee and draw on a large body of studies focused in the Atlantic Coastal Plain. While the recommendations were developed in the context of a Pollution Control Strategy for the Inland Bays Watershed, they should also be useful to resource managers or local governments in other coastal plain watersheds. Download the report (13 MB). View a powerpoint presentation of the recommendations. 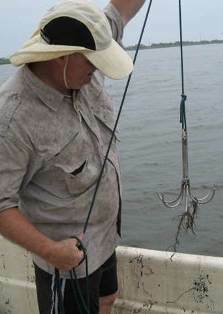 Ingress of larval fishes through Indian River Inlet: patterns of abundance and development of a Juvenile Fish Index to assess water quality in the Inland Bays system. Final Project Report to the CIB by Timothy Targett and Michael Rhode of the University of Delaware College of Marine and Earth Sciences. 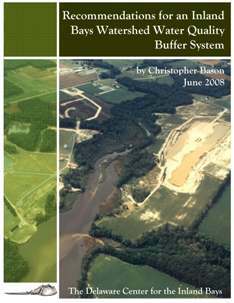 This report is the culmination of a year-long outreach and technical assistance effort managed by the Environmental Finance Center at the University of Maryland, in coordination with the Delaware Department of Natural Resources and Environmental Control and First State Community Action Agency for the Inland Bays Watershed. 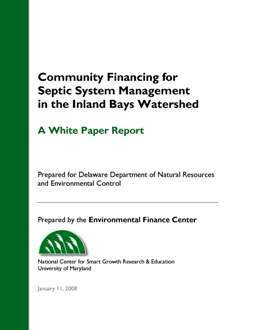 The project was designed to identify sustainable financing strategies to support community financing needs related to proposed septic system inspection and performance requirements in the Inland Bays Pollution Control Strategy. The report identifies financing needs and how to address them. Much work remains to be done to improve the environment in the Bays’ watershed, although much has been done already. 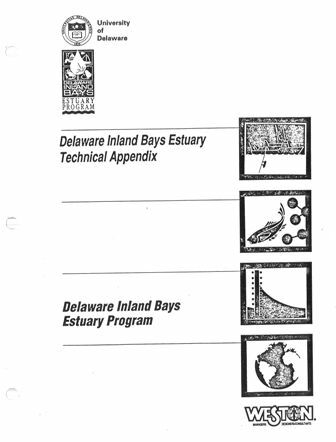 The Inland Bays Estuary Program carried on this work through the Comprehensive Conservation and Management Plan (CCMP) development and implementation process. The Center for the Inland Bays shall continue implementing the CCMP. Click here to read the plan in full. 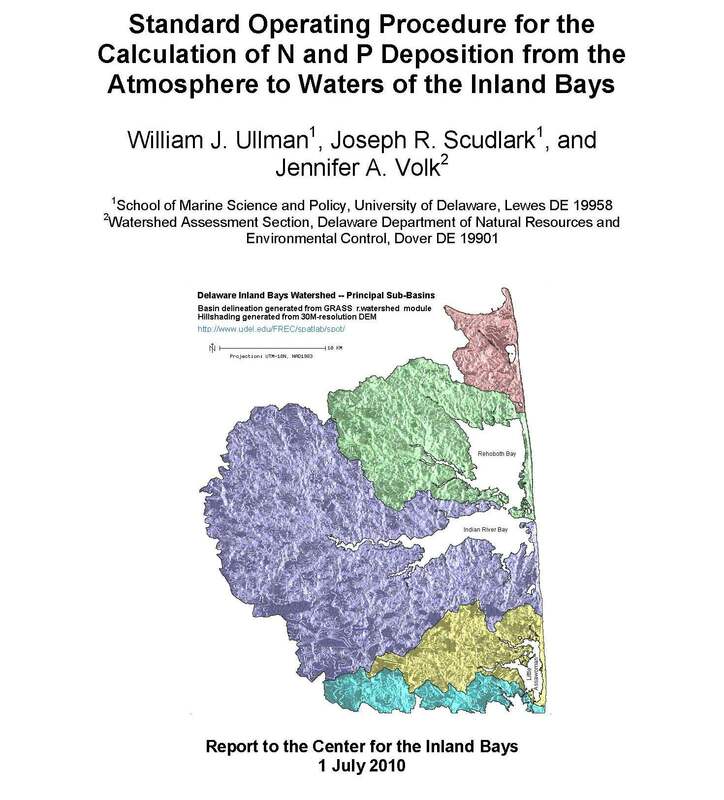 Still the premier science synthesis on the Inland Bays, this document characterizes the water quality, habitat modification and loss, and living resources of the Inland Bays, and provides a characterization integration and summary. The large document is provided in five parts along with 4 data appendices. The report, produced by Stearns & Wheler, LLC, evaluates four alternatives to direct wastewater discharge to the Bays including Land Application, Rapid Infiltration Beds, Subsurface Injection, and an Ocean Outfall. Advantages, disadvantages, and costs of each alternative are presented. View the JAN 13 ’06 STAC powerpoint presentation of the report. 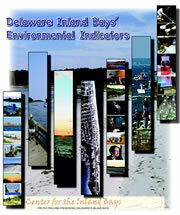 This inaugural report on the status and trends of 11 key environmental indicators for Delaware’s Inland Bays is available by calling the office of the CIB at (302) 645-7325. Although many laws and regulations are in place to help control users and their activities in the inland bays watershed, comprehensive water-use planning is often overlooked or not considered until serious problems arise. One way to deal with users and their activities is by developing a water-use plan. A water-use plan is designed to outline acceptable uses of the water to ensure that user conflicts and environmental impacts are minimized. The plan may allow for continued recreational uses of the water body, while attempting to sustain and maintain a biologically diverse aquatic community. Download a copy of the report (2MB). In 2009, a partnership between the Center for the Inland Bays, DelDOT, and the Town of South Bethany contracted the Center for Watershed Protection and JMT Engineering to work with local communities and the University of Delaware in developing a stormwater retrofit and pollution reduction strategy to improve pollution problems in the Anchorage Canal and Little Assawoman Bay. Reports from the study are made available here. The following are presentations from the Community Presentation of the Strategy in May of 2010 at the CIB. Here you will find the Quality Assurance Quality Control documents for the Inland Bays Water Quality Dataset 1998 – 2008 as cited in the dataset description. This report presents the results from the 2001-03 ground-water sampling effort. The study area is described in terms of land use, hydrogeologic framework, and ground-water recharge potential. Details regarding the well network, sampling methodology, laboratory analytical methods, quality assurance (QA) procedures, and quality control (QC) measures are provided. Data are summarized in tabular format and qualified where appropriate. A general statistical summary of the data is provided. Data are evaluated with respect to Federal standards for drinking water (U.S. EPA, 2004) and surface water (U.S. EPA, 1986). Major-ion chemistry is discussed with geochemical interpretations based largely on the work of others (Hamilton et al., 1993; Andres, 1991a; Denver, 1986, 1989, 1993). Lastly, the occurrence of nitrate and phosphorus are evaluated in terms of spatial distributions, geochemical environment, and recharge-potential setting (Andres et al., 2002). Download a copy of the report (3 MB).